Our favorite way to enjoy pepper jelly is to use it as an appetizer; with a simple block of cream cheese placed on a platter, topped with a generous amount of pepper jelly and served on a cracker. Other cheeses such as cheddar, smoked gouda, brie, goat and gorgonzola pair nicely with pepper jelly as well. It is such an easy and quick way to indulge in a simple treat, especially when unexpected family or guests arrive. Additionally, what we and many other's are learning is that pepper jelly has many culinary uses. We use pepper jelly in, on, and around everything that comes out of our kitchen. It pairs beautifully with meat and fish dishes, vegetable and side dishes. We even use it to make salad dressings and dips! Our customers are helping us discover new combinations. Bite sized bread topped with brie and Apricot Pepper Jelly. Our pepper jelly is made with garden fresh peppers (ranging from sweet and mild to hot and spicy) and other natural ingredients such as pure cane sugar, apple cider vinegar, wholesome fruits and vegetables, spices and herbs, and pectin giving it a jam or jelly-like consistency. I source most of my fruits and vegetables from our local farmers, small family-owned businesses, an even my own backyard, because it helps keep our community thriving. 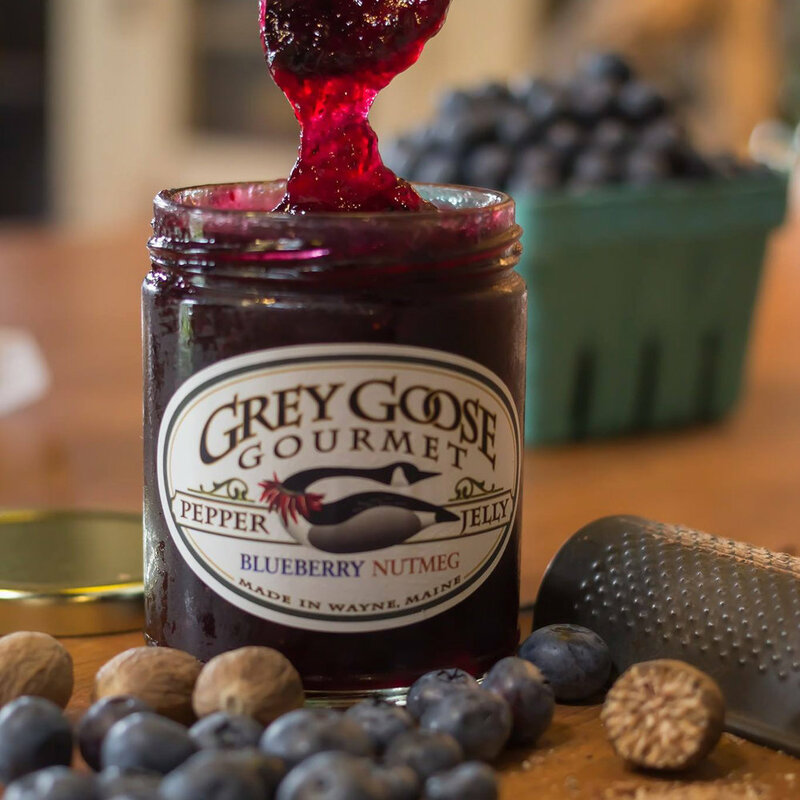 I'm the pepper jelly creator, cook and owner of Grey Goose Gourmet; where the kitchen is the heart of my business. When I am not making pepper jellies, you can find me either in our 1850's barn shop, my garden, a farmer's market, or at a festival sharing the pepper jelly love. I enjoy creating these wonderful pepper jellies in the solitude of my own home at any time of the day, especially on a cold winter's night when it is so peaceful: the dogs are nestled in their beds, Norman (my husband) is sleeping (snoring) and the wood stove is burning. It's a true love from the heart. Making and sharing this simple but amazingly delicious food and all it’s goodness is my passion. Join our private mailing list. We respect your privacy. We will never share your information and you can easily opt out at any time. My name is Sandra . . .